Art4All. 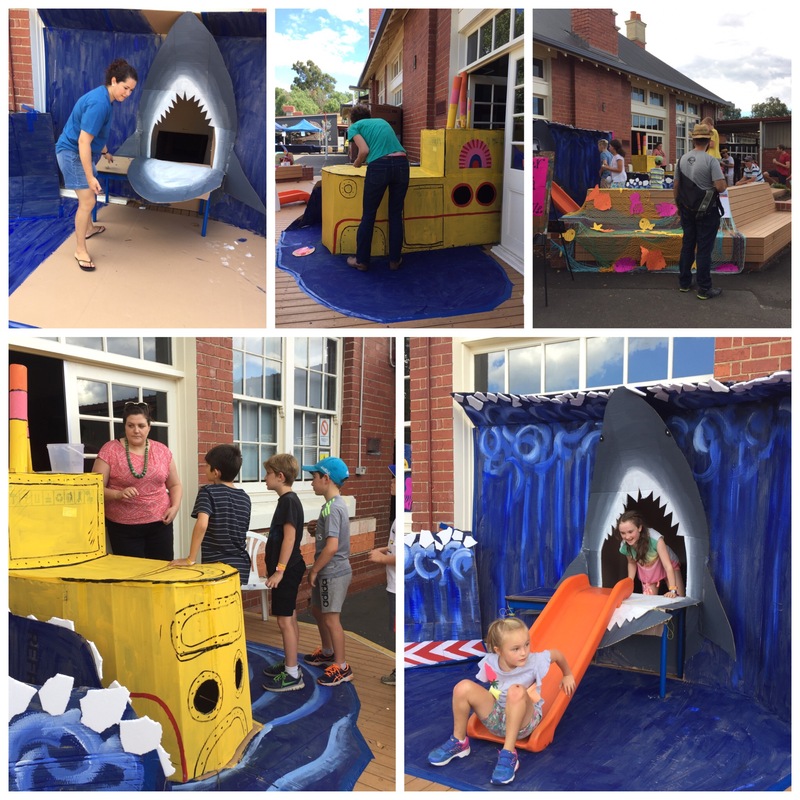 I become consumed with coordinating Fairfield Primary School’s art show from June to September each year. So you might see some related posts in the coming months. Here’s the first. It’s got a recycled shoe box in it (oh, and the pink string left over from my macrame the other week …). We are currently looking into things to make and do in the kids ARTzone at Art4All this year. And I get quite excited about crafty activities. Another Mum, Trish, who is coordinating the kids activities on family day pinned a picture of cardboard bead necklaces on her ‘ideas for the ARTzone’ board on Pinterest. I liked the look of this idea as well. So we did an after dinner test run at our house. So … I used an old shoe box for the cardboard and used my large hole punch to cut the circles. Then I got out the sharpies and let the kids do their thing. 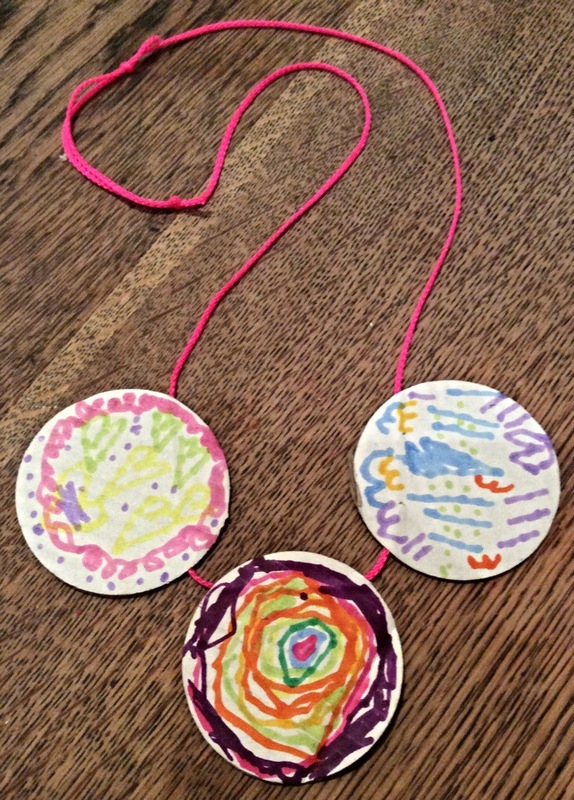 I got them to choose 3 of the ‘cardboard beads’ that they had decorated that would look nice together. And then threaded them on to some string. 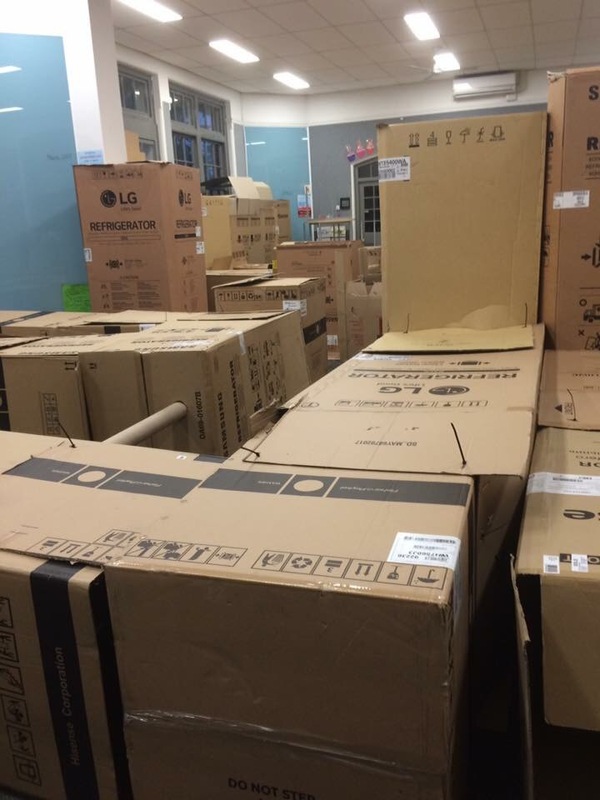 Older kids could do this for themselves but younger ones might need some help as the needle does poke through the cardboard some times at odd places. 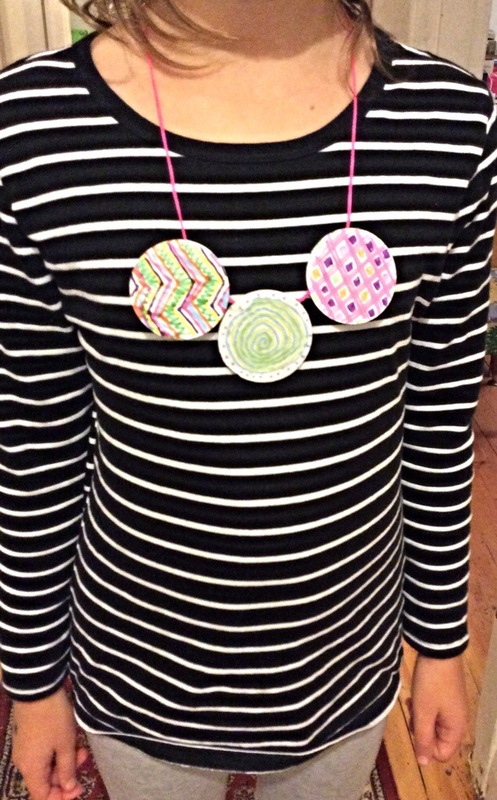 Tie some knots and … you have your very own wearable (and easily disposable) art in the form of a necklace! I think they could look even better with some different sized circles … But generally I conclude that it is a great idea. The original version on Pinterest used black and white paint on brown cardboard. That would be fun too! And making these would be excellent for a kids craft party (and I can say this with confidence as we have hosted a few quite chaotic craft parties at our house already).